Crescent Renewal Books is an imprint of Who Chains You Publishing. Crescent Renewal Books presents educational and thought-provoking books that—while not animal-focused—advocate for the environment, family, and other social issues. Who Chains You Books formed our Crescent Renewal imprint in the fall of 2017 to focus on other aspects of humane education that aren't animal-related. While we will remain dedicated to our advocacy for animals, we will review manuscripts that take on other social and environmental issues as well—mostly for authors who have already published under our main imprint. Crescent Renewal Books publishes books in all genres from children to adult and fiction to nonfiction that we find educational and powerful. Do you represent a nonprofit? If you'd like to order any of our books (from either imprint) in bulk to sell to benefit your organization, please visit our Nonprofit Order Page or email us at info@whochainsyou.com for special wholesale pricing. If you're interesting in submitting a book for publishing consideration, visit our submissions page. In addition, we're printing a whole series of fun and/or educational books featuring YOUR STORIES, too! Kylee Rain loves cupcakes with sparkly sprinkles, anything pink, Paris, France, and her Papa—her favoritest person in the whole wide world. Her Nana and Papa live with them in a big old house on a farm in the country, where she gets to cuddle with her grey kitty Purrlock Holmes and explore their HUGE vegetable garden with its extra large pumpkin patch. Kylee and her Papa prove that the bond between a grandparent and a grandchild can indeed be something special. 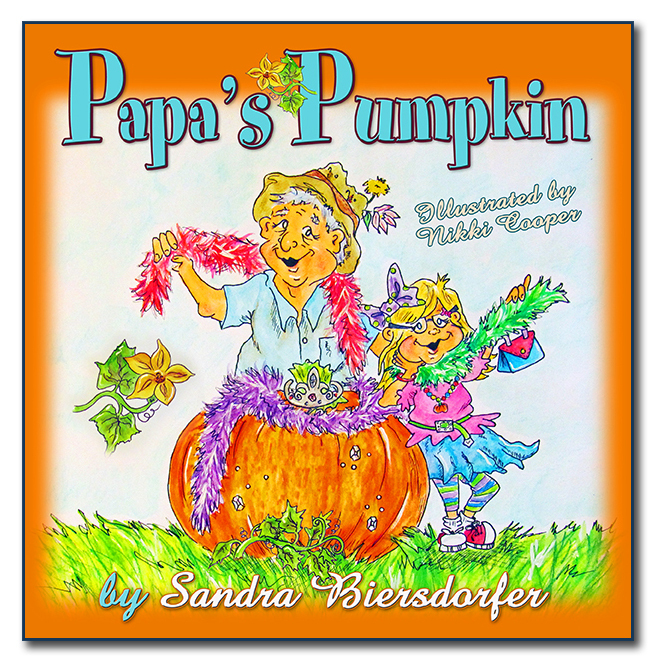 From motorcycles to airplanes and everything in between, join Papa and Kylee in this heartwarming tale as they make lifetime memories while waiting for their pumpkins to grow into the prettiest, plumpest pumpkins in the patch. Perfect for ages 4 and up—and all the young-at-heart grandparents too—this book from Crescent Renewal is sure to find a spot on your family’s bookshelf. Join us for the tale of a special leaf named Bud, whose life journey reminds us that we are all important and needed. 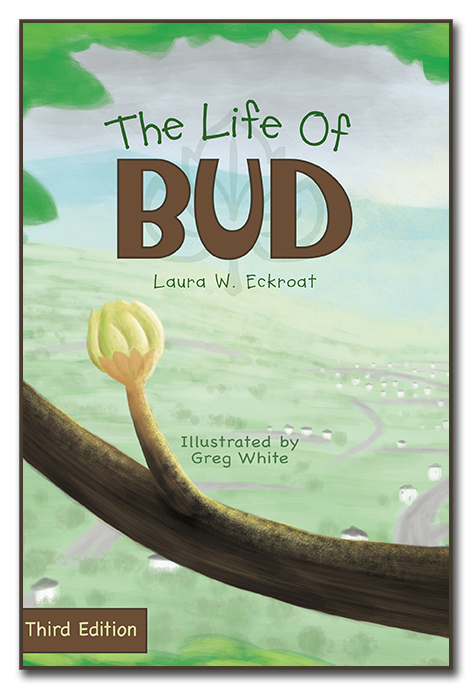 Bud starts out as a tiny bud—small and insignificant—yet he arrives into this life with a feeling of purpose and hope. Soon he grows into a beautiful, vibrant piece of the Mighty Oak Tree, taking his place in the circle of life, and thrives as he recognizes his part in something greater. 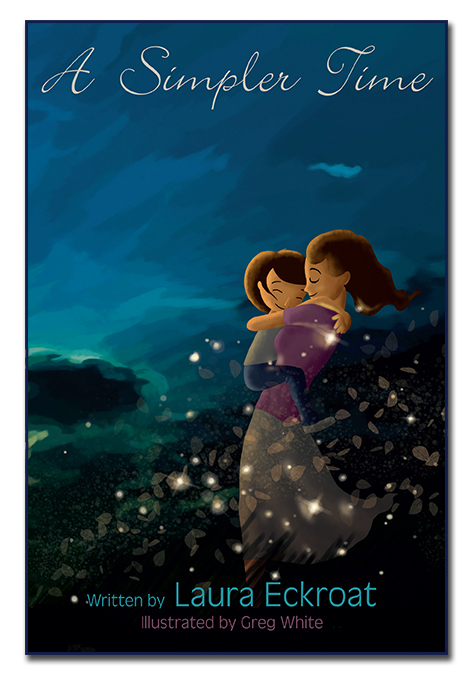 Those who have sought a children’s book that gently explains the topics of life and death need look no further. The Life of Bud teaches acceptance and celebration of a life well-lived. It is a valuable addition to the reading shelves of children eight and up, and a meaningful family bedtime tale. “Nana, am I your apple?" "No—not even if you painted me a pink and purple chapel." And so the game begins! Join us in this juicy adventure with Sully and Nana, and guess how many different fruits Sully can name. Which endearing fruit does Nana pick just for him? 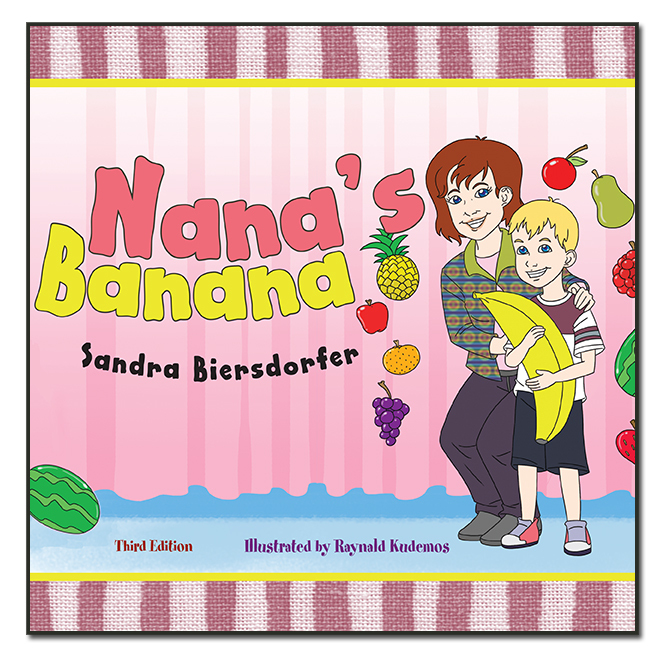 Find out in this laugh-out-loud silly, funny, full-of-alliteration, rhyming game that ends with a heartfelt poem sure to bring a tear to any Nana's eyes. Perfect for ages 4 and up (when read by Nana, of course! ), and a delightful family read for every bedtime story. Oversaturated with the latest video game and phone apps, does anyone slow down to remember A Simpler Time? Join A.J. as she discovers a summer of fun with her mom. The phones stay home while mother and daughter go on simple adventures—discovering four leaf clovers, animals in the clouds, and lightning bugs in a starlit sky. Richly illustrated by Greg White, A Simpler Time is a exceptional tale to share with children age 7 through pre-teen, and will inspire you too to find some simpler moments during your next family gathering. “My birthday will be fantastically flawless!” Meghan declared from the center of the room she had just decorated with her mother. Meghan was so excited for her birthday party that she had planned out every detail, including the thank you cards. After she hand delivers her thank yous to her friends, she's surprised when her best friend Sidney writes a thank you card back. “It’s beautiful,” Meghan said earnestly, though she was beginning to worry. Meghan writes Sidney another card, but when Sidney writes back again, Meghan can’t help but wonder if thank you cards are ever supposed to end! 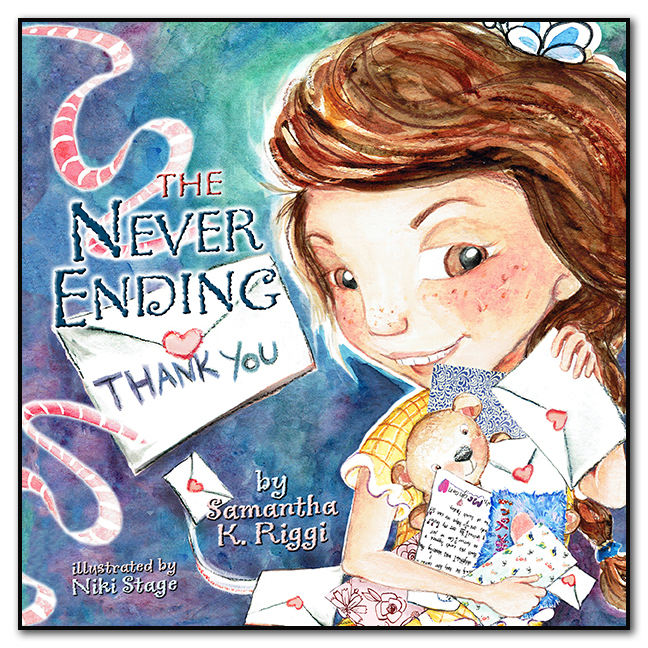 The Never Ending Thank You is simple and beautifully illustrated by artist Niki Stage, and yet presents a lesson that’s never too early to learn about the ins and outs of friendship and communication. Award-winning author Laura Eckroat is back with her very first chapter book. 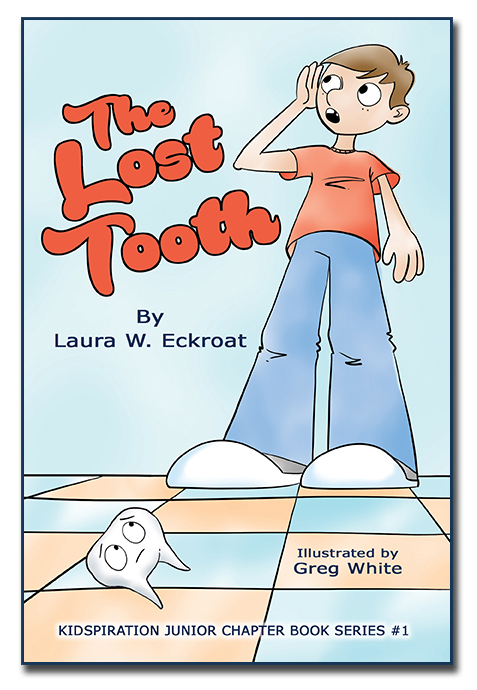 In The Lost Tooth, William doesn’t just lose his tooth . . . his tooth becomes LOST! Follow Tommy the Tooth on his wild and exciting journey to the Tooth Fairy, as he ends up in places a lost tooth would never expect or want to be. Luckily William never gives up on him, and the ending is sure to please readers great and small. This book from Crescent Renewal Books is a must for all children who have or will have wiggly, jiggly baby teeth, and makes a wonderful first chapter book for ages 7-10 and grades 1-4. It was August, and Red was thrilled about the first day of school, and nervous as she boarded the yellow school bus into the unknown. What would this new adventure bring? 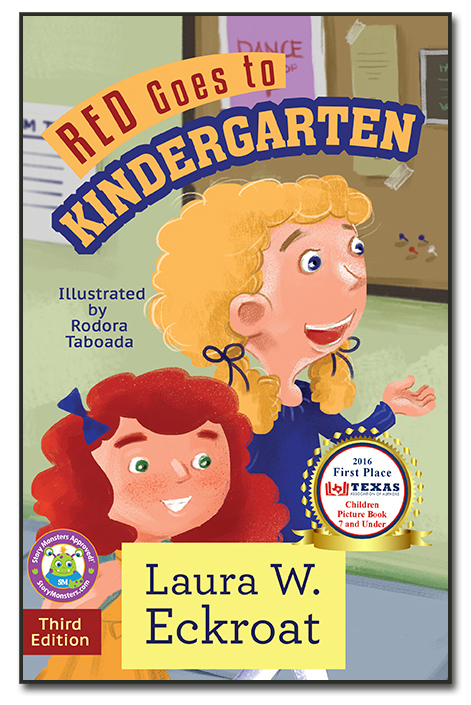 Join Red as she experiences her exciting first week, and meets her teacher Mrs. Bloom and her new friend Violet. She draws pictures, colors apples, and creates patterns; kindergarten is amazing! Includes a Monday through Friday activity section for the kids, too, so they can follow Red along her path. 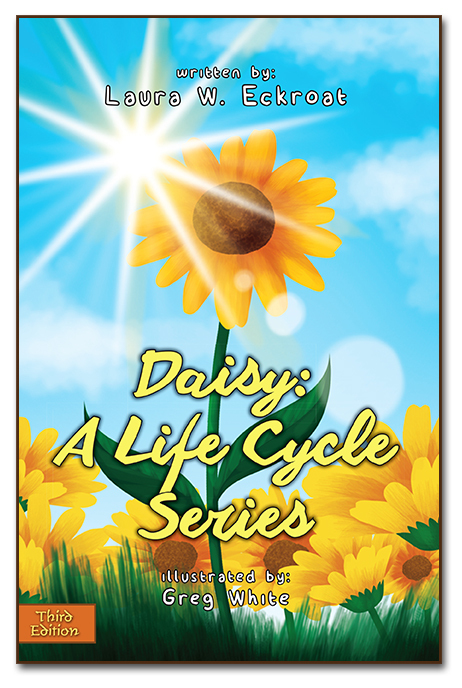 Daisy: A Life Cycle Series builds a colorful connection between the reader and the stages of a growing plant, cycling through germination, growth, and maturity at a level school-age children can get excited about. This gentle story also reflects on the life-death-life cycle which all living things undergo. The stages are accurately relayed through the descriptive feelings of the plant. Daisy makes a great learning tool for the classroom, or a wonderful bedtime tale for parents who want to teach their children through family storytime. The book features gorgeous illustrations from artist Greg White, and this third edition from Crescent Renewal Books—an imprint of Who Chains You Publishing—is perfect for ages 7 and up.